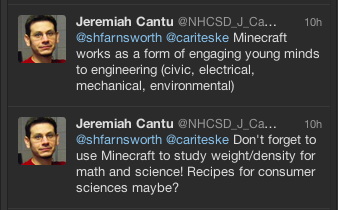 Perhaps, just maybe, Minecraft is for Imaginative Education, rather than something to be Integrated into the “is it working yet” ICT agenda. http://www.massivelyminecraft.org – some 500 kids in a learning world where lessons are banned … but of course they are learning, mostly about their own capacity for learning. 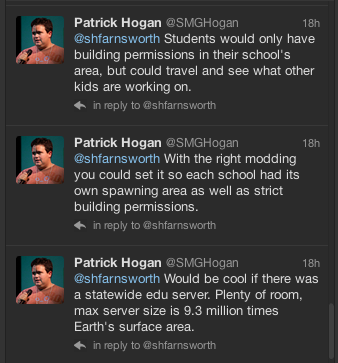 You might like to go see what they are doing … thanks for adding more Minecraft Edu to the web!